Montessori named her first school "Casa dei Bambini" (or in English, a house for children). To grasp the true essence of her vision, you only need to step inside a classroom. Montessori classrooms are home-like environments created to meet the specific developmental needs of young children. 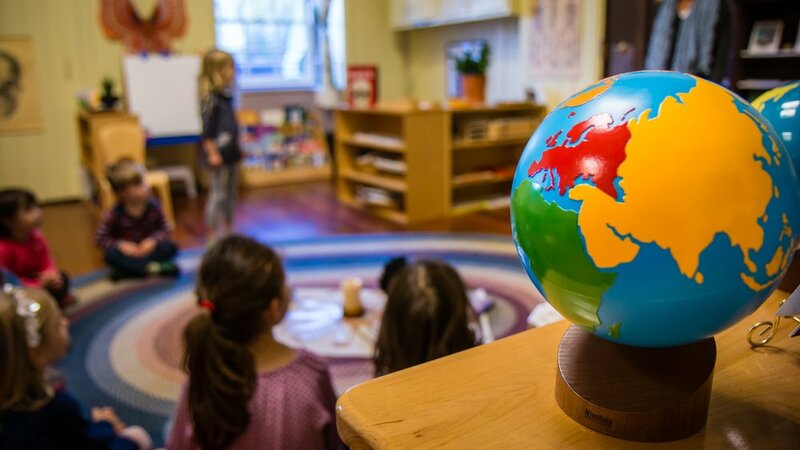 Beautiful, inviting, and thoughtfully arranged, our classroom at Montessori Nature School will embody each element of Maria Montessori’s revolutionary approach. Natural lighting, soft colors, and uncluttered spaces will set the stage for activity that is focused and calm. You won’t find walls papered with brightly colored images of cartoons and syndicated characters. Instead, you might see posters from a local museum, or framed photographs or paintings created by the students themselves. Our Montessori classroom will be uniquely suited to meet the developing needs of the young child. You'll find low sinks, chairs, and tables; a reading corner with a comfy seat; reachable shelves; and child-sized kitchen tools—all elements that allow independence and help each child develop fine motor skills. The design and flow of the physical space will foster a learning space that accommodates choice. There will be spaces suited to group activity, and areas where a student can settle in alone. You'll find no customary rows of school desks; children will work at tables or on the floor, rolling out mats on which to work and define their work space. Our classroom will include an area devoted to peace and reflection: a quiet corner or table with well-chosen items—a vase of daisies; a goldfish bowl—to lead a child to meditative thought. And there will always be places to curl up with books, where a student can read or be read to. When prospective families visit a Montessori classroom for the first time, here are just a few of the remarkable things that they observe inside a Montessori classroom.